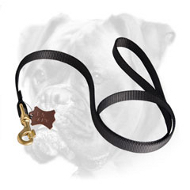 The daily routine of your Boxer is impossible to imagine without such gear as a dog leash. 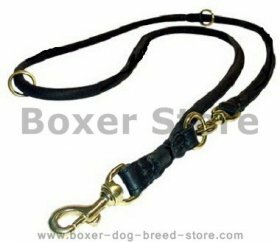 Nowadays the market of dog supplies is full of different goods, but not all of them are of good quality. 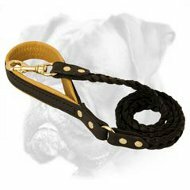 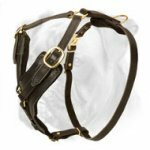 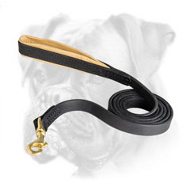 Our store is ready to provide your canine with the high-end leashes of leather or nylon. 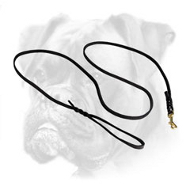 Choose the lead, which will be suitable for the needs of your Boxer - walking, playing, training, tracking, police work, vet visiting and so on. 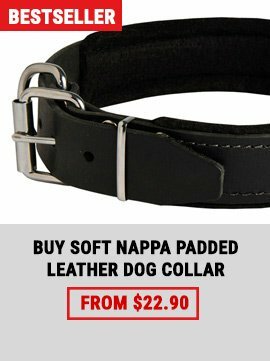 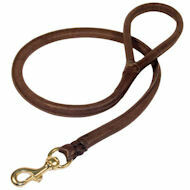 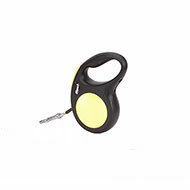 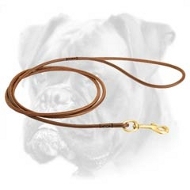 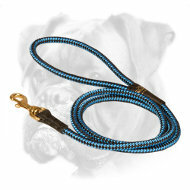 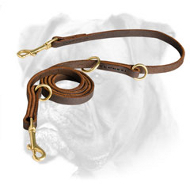 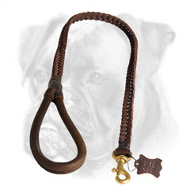 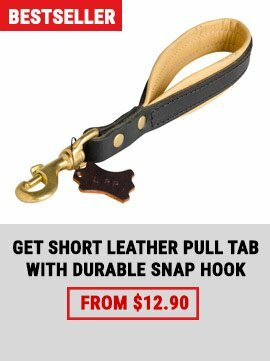 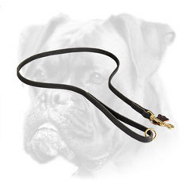 You can order a classical leather collar or water-proof nylon dog lead. 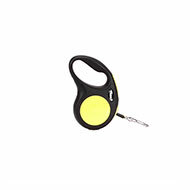 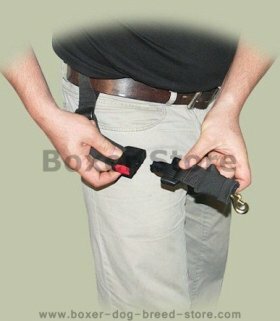 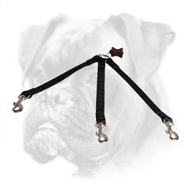 Pay attention, please, you are suggested collars of different length - short gears for good control, such as taking your Boxer out of the car, and long items for tracking. 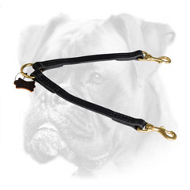 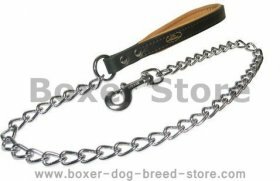 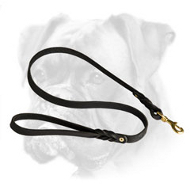 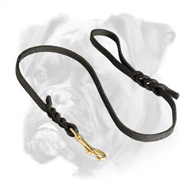 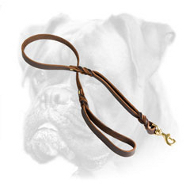 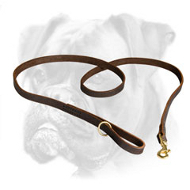 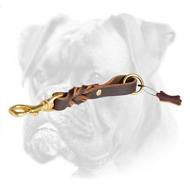 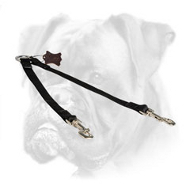 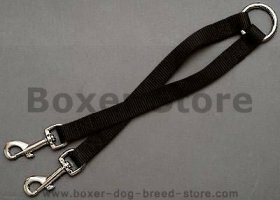 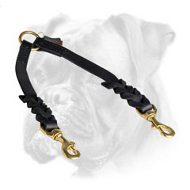 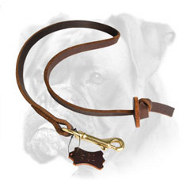 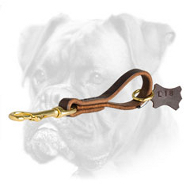 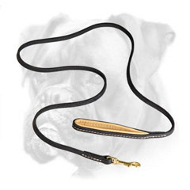 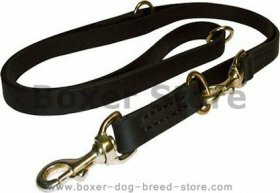 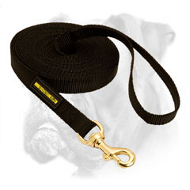 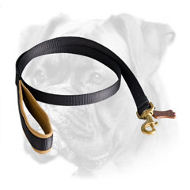 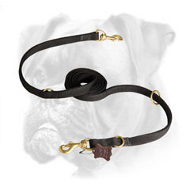 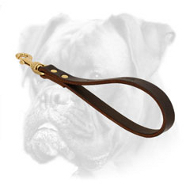 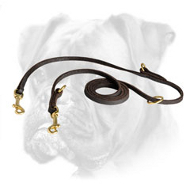 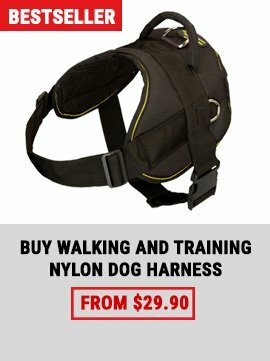 Put your dog under your supervision with the help of our top quality Boxer leashes!